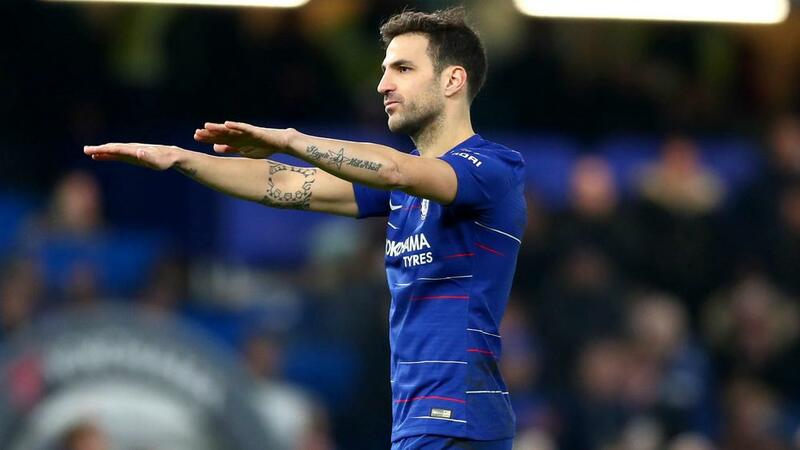 Cesc Fabregas believes his technical quality has never abated even if he has begun to lose "sharpness", with the midfielder expected to leave Chelsea for Monaco. Fabregas captained Chelsea to a 2-0 FA Cup win at home to Nottingham Forest on Saturday, bidding what looked to be an emotional farewell to the Stamford Bridge crowd at the end of the game. Alvaro Morata appeared to confirm Fabregas would leave Chelsea on social media, writing on Instagram: "You do not know how much I'm going to miss you!" Reports have indicated the 31-year-old will hold talks with Ligue 1 strugglers Monaco on Sunday ahead of a reunion with former Arsenal team-mate Thierry Henry, who took over as head coach in October. And despite missing a penalty against Forest, Fabregas insists the technique he has shown throughout his career will not leave him as he reaches the final years of his playing days. "It is always something that I have had, and it feels like growing up and getting older, it is one of those things that really does never go away because it is technique," he told Chelsea's website. "Physicality goes away from all of us unfortunately when you get older, you lose speed, you lose some sharpness, but technique I think is something that always stays with you when you have something, so hopefully it can stay with me for a very long time yet. "With the penalty, when I stopped in the middle of my run, I saw the goalkeeper going down and I thought that I had it, so yes, it is unfortunate but the day I did 100 caps for Spain I also missed a penalty! "It feels like it was last week I started playing professionally and now it is over 15 years. It is a long time but for the young players when they start playing, my little advice is to enjoy it every single second because it goes so fast. Callum Hudson-Odoi impressed in the Forest win, setting up both of Morata's goals, and Fabregas backed the teenager – linked with a move to Bayern Munich – to have a bright future. "He has got everything to make it in world football," the Spaniard added. "I have told him that if he does not really make it at the very top, I will be disappointed because he is one of these talents you can see can be fantastic. "He can be world-class, so he just needs to keep his feet on the ground, keep working hard. He is a humble boy, he really loves playing football and hopefully he can really make it very soon."